The German bank and EHF Marketing agreed on a cooperation. Vienna, 05 May 2010 – EHF Marketing GmbH has announced a new partnership deal ahead of the EHF Champions League FINAL4, which will take place on 29-30 May 2010 in Cologne’s LANXESS arena in front of 19,500 spectators. The German DZ Bank has agreed to join forces with the top club handball event of the year and promote their new brand AKZENT Invest at the competition. The EHF FINAL4 will be a good opportunity for the company to activate their AKZENT Invest brand in front of a sold-out arena and a global television audience. AKZENT Invest, a brand for investment certificates, will be present on advertising boards, floor stickers and their logos will be visible on the official EHF FINAL4 homepage. The DZ BANK Group forms part of the German cooperative financial services network, which comprises more than 1,100 local cooperative banks and is one of Germany’s largest private-sector financial services organizations measured in terms of total assets. Within the cooperative financial services network, DZ BANK AG functions both as a central institution for more than 900 cooperative banks and their 12,000 branch offices and as a corporate bank. 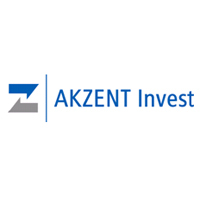 AKZENT Invest is the new brand from DZ BANK for the investment certificates market. DZ BANK AG, which has its headquarters in Frankfurt am Main in Germany, is the corporate bank behind the brand. Through AKZENT Invest, a leading service provider on the growing certificate market, DZ BANK offers attractive investment solutions reflecting the core principles of quality and transparency.